What if I told you that all Pixar movies are connected? That all the characters in those movies actually live in the same universe, only in different times? How is that possible? Watch this video and find out. Based on “The Pixar Theory” by Jon Negroni. 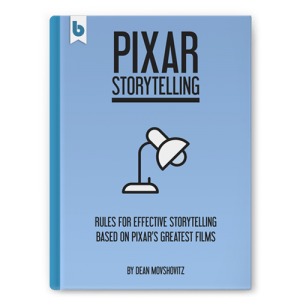 If you’re a Pixar fan, and into writing, check out our screenwriting book Pixar Storytelling and find out the formula behind their greatest films. Pixar Storytelling Ebook - Coming Out Next Week!